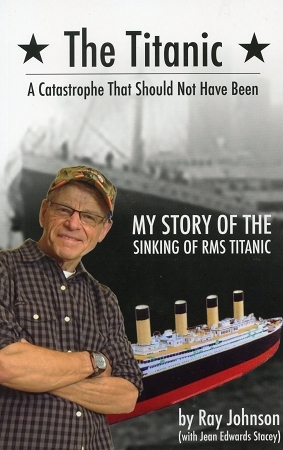 In this book, Ray Johnson, a member of the well-know comedic trio Buddy Wasisname and the Other Fellers, presents his history of the sinking of RMS Titanic, a catastrophe that should not have been. Ray’s fascination with the Titanic began in 1959 when he saw the movie A Night to Remember. His continuing interest led him to become a member of the Titanic Historical Society and to construct a 6-foot scale model of the so called Ship of Dreams that is featured on the front cover of this book. To this day, the tragedy of the Titanic continues to fascinate the world. Ray has dedicated his book to all those who perished in the sinking.